This is a small dedicated team of volunteers, who work to decorate and adorn the Parish Church each week, with flowers and arrangements. As always new volunteers are welcome. Contact the Sacristy if you wish to become involved. Please look at the special section of the site to see the role of the Child Protection Team and the Parish Policy. Contact the team at the parish office for issues or concerns. Church Stewards are Ministers of Hospitality who assist at Masses and liturgical occasions on a voluntary basis. • Keep Church and Porches spick and span! Of course, New Volunteers are always welcome! This is a group of parishioners who co-ordinate the liturgy/music for the 12:30pm Sunday Mass. The aim is to enrich and enliven this community celebration through the active involvement and participation of families and young people, with music and song. If you have any suggestions to make, or would like to become involved, please leave your name and contact no. in the Sacristy, or speak to anyone at the 12:30pm Sunday Mass. All are most welcome. The Finance Committee manages the day-to-day expenditure of the Parish and plans finance for capital projects. The work of the committee is very important in the smooth running of the Parish and in light of the many legal responsibilities which parishes now have. This committee is always open to volunteers who have particular accounting or financial experience. 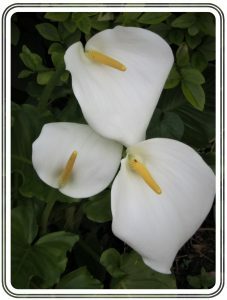 This group assists families in preparing the Funeral Mass for their loved ones if required. 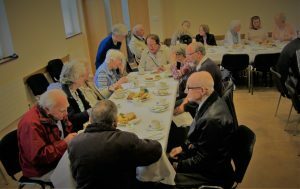 The Hospitality group consists of a number of volunteers who work on a rota basis to offer tea and coffee after the 10.00 a.m. mass on each Tuesday, Wednesday, and Thursday in the Marino Room. The work of this group provides a communal parish forum where people can sit and chat and allows us to serve our parishioners in a relaxed and caring environment. The Liturgical Art group works to enhance the Church with banners and symbols for the various Masses and liturgies, including Feast days, Holy Week, Christmas etc. As always volunteers are welcome. The Liturgy Group meet on a monthly basis at 7:30pm. They prepare all the special Liturgies during the year, e.g. Easter, Christmas, Lent and special feasts within the Church. Please contact the Sacristy or Parish Office if you would like to become involved and or are specially interested in Church liturgy and in preparing and assisting in the liturgy. Ministers are parishioners who are trained and commissioned by the Diocese to distribute Holy Communion at Masses and in the homes of sick and elderly parishioners. Ministers serve on a rota basis during the week and at week-end Masses. Ministers of the Word are Parish Volunteers who wish to participate in the liturgy of the Eucharist through the reading of the lessons and the Psalms. Through this experience and contribution Ministers are led to a deeper understanding of the testament readings and participate more fully in the life of the Parish. People who are interested should make contact through the Parish Office for the information of Mrs. Mary Shiel. Training and advice will be provided to new readers in how to prepare and deliver the readings. Volunteers are rostered for reading having regard to their declared preference for times of Masses, availability etc. The Parish Choir is a mixed choir, with the various vocal ranges included. The choir sings at 11:00am Mass on Sundays and other liturgical occasions. Choir Practice is every Monday evenings at 7:30pm in the Marino Room. New members are always welcome. Please leave your name in to the Sacristy for the attention of the Director, if you think that you would like to join and have an interest in choral singing. This is a group of parishioners whose aim is to improve communications in the Parish generally. It is responsible, among other things, for the production of the Parish Newsletter, the Parish Directory, and communicating with families new to the parish. As always volunteers are very welcome, especially parishioners who may have particular skills or experience in any area of communications. The group is always looking for new initiatives or events occurring in the parish to communicate them to a wider audience. Marino Parish Council consists of 12 members, and it aims to work with and support all aspects of parish life, in accordance with the mission statement of the parish. The St. John the Baptist Conference of St. Vincent de Paul works to relieve hardship in the Parish and also in the Ballymun area. The Conference meets at 8:00pm each Monday in the Annadale Room. 3 Carberry Road, Maryfield, Dublin 9. 22 Griffith Avenue, Dublin 9. 204 Griffith Avenue, Dublin 9. Charlemont, Griffith Avenue, Dublin 9. 4 Beechlawn, High Park, Grace Park Road, Dublin 9. 70 & 72 Upper Drumcondra Road, Dublin 9. 16 Ormond Road, Dublin 9.